1695464 1968-72 Power steering pressure hose. For 1/2 & 3/4 ton, 2 wheel drive with small block V-8, 70-72 4 wheel drive with 6 cyl. (with integral power steering). 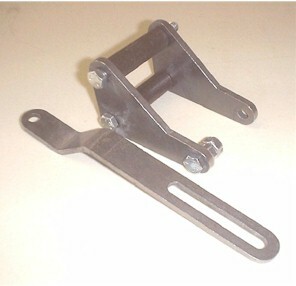 Includes adapter for male or female fitting on the power steering pump. 1695465 1968-72 Power steering pressure hose. For 1/2 & 3/4 ton, 4 wheel drive with small block V-8 And 68-69 6 cyl 4 wheel drive (with integral power steering). Hose has Male fittings on both ends, to the pump and gear box. 1695466 1968-72 Low pressure power steering return line with integral power steering. Steel line like OEM. Connects to power steering gearbox and return line hose to route low pressure fluid back to the power steering pump. For 1/2 & 3/4 ton, 2 & 4 wheel drive. 1866993 1968-72 Low pressure power steering return line with integral power steering. Stainless Steel line pre-bent just like OEM. Connects to power steering gearbox and return line hose to route low pressure fluid back to the power steering pump. For 1/2 & 3/4 ton, 2 & 4 wheel drive. 1695468 1968-72 Low pressure rubber power steering return line hose, used to connect the metal power steering gearbox to the power steering pump. For 1/2 & 3/4 ton, 2 & 4 wheel drive. 2224056 1960-72 Power steering pump mounting brackets for Small Block V8. 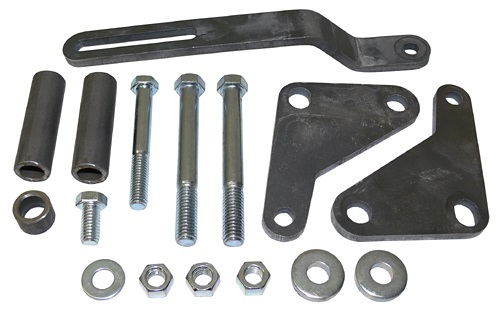 Includes all necessary brackets and mounting hardware required to mount a power steering pump in original location on a small block V-8's. Works with either a short or long water pump. 2224059 1960-72 Power steering pump mounting brackets for Big Block V8. Includes all necessary brackets and mounting hardware required to mount a power steering pump in original location on a big block V-8's. Works with either a short or long water pump.